I think that a french manicured nail is such a clean , polished, easy look that goes with everything. I also love a french pedicure in the Summer time. I definitely have nail ADD. I get bored fast. So, it isn`t always worth it for me to pay money to get my nails professionally french manicured when I am only going to end up taking off the beautiful airbrush in a few days when I feel like switching my shade. 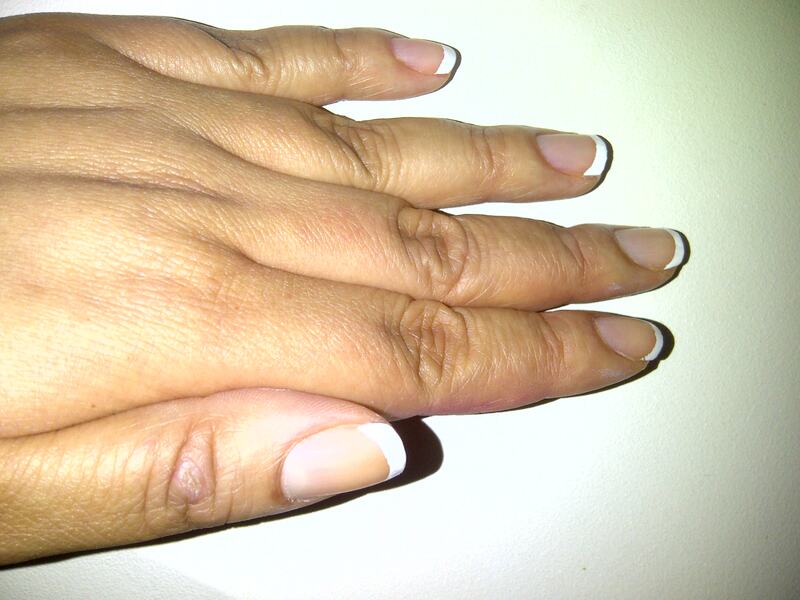 Over the years I have experimented with a number of different methods for a DIY ( do-it-yourself) french manicure. I have tried the Konad stamper, nail art pens, scotch tape, precision polish brushes and those flimsy little french manicure stickers that Sally Hansen makes. My favourite method for applying a french manicure is to use round bandages that can be found at the drug store. 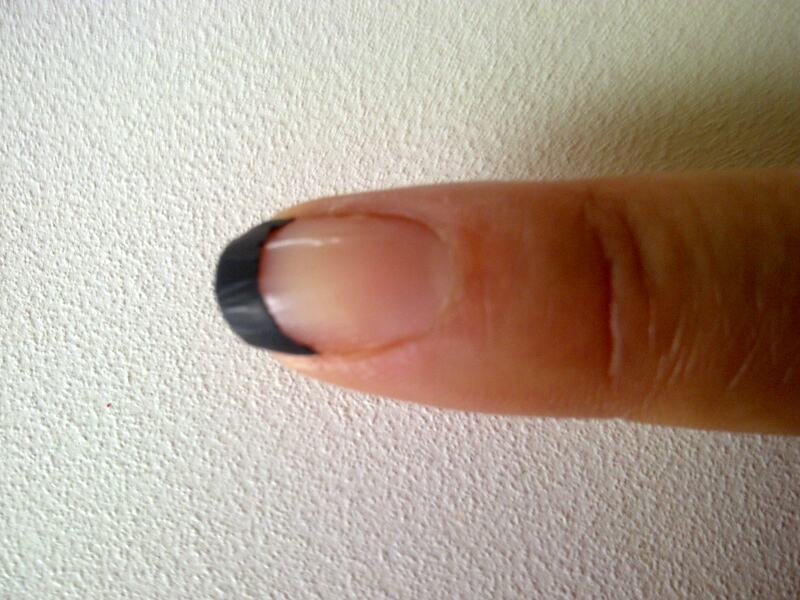 I even used this method to paint my sister`s nails for her wedding day. 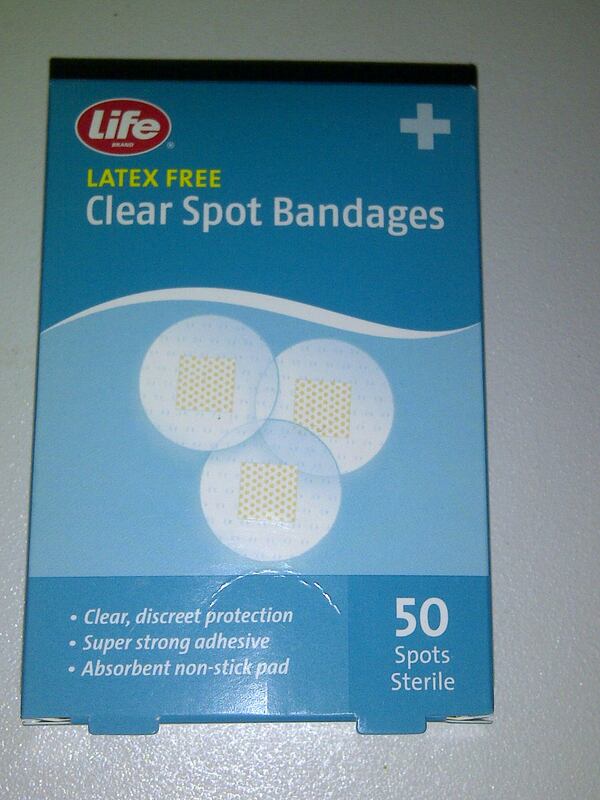 The bandadges are latex spots and usually come in a box of fifty for about five dollars. This usually lasts me a while, because I can usually get away with reusing one or two bandages per manicure. They come in both flesh coloured ( I don`t know whose “flesh“ they are using when developing bandage colours!) and transparent. Using these bandages to create a french manicure is easy peasy. First, be sure to stick the bandage to your hand and pull it off a couple of times. The natural oils in your skin will make the bandage less sticky. If you skip this step, the bandage will likely pull off some of your base colour when you try to remove it. When the bandage is noticeably less tacky, you stick it on your nail where you would like your line to be. Then go ahead and paint over it and your nail tip with your polish of choice. Pull off the bandage, working from one side of the nail to the other, right after you finish painting. If you wait until the polish starts to dry , your line will likely end up wonky. Then, simply repeat the process on the rest of your nails and VOILA! You can play around with the thickness of the line, shades and finishes of nail polish to get different looks using this simple technique. Another of my favourite things to do with the spot bandages is a reverse french manicure. This could also be done with two colours. But, I particularly like it with a bright cherry red. This is a great option if you don`t like to change your polish shade often. as your nails grow out, it is less obvious than it would be with a traditional manicure. It has been argued that a french manicure can look boring or dated. But, I will always love it. 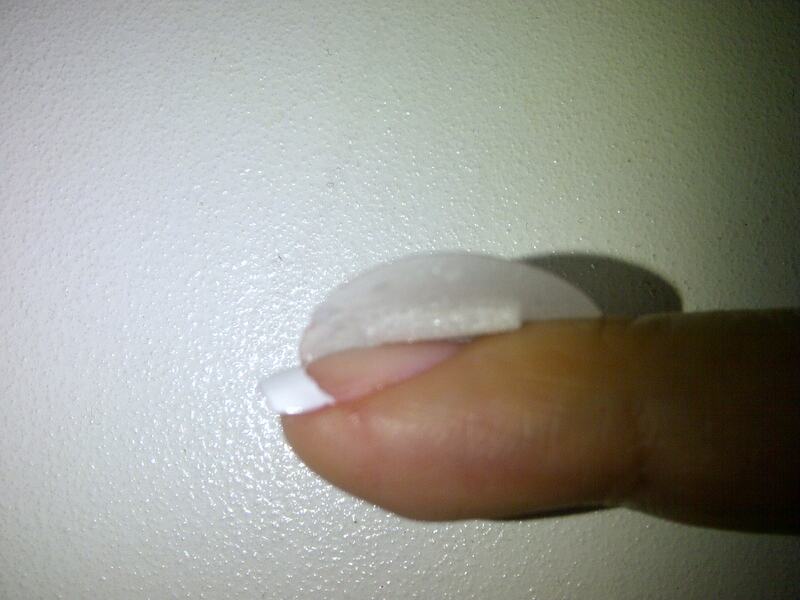 Let me know if you like to french manicure your nails and which colours you like to use! I love a frenchie in any color! Sparkle topcoat is one of my faves 🙂 Nice post. seriously GENIUS. I have been using the pen thingy and I don’t mind it, but this is so much easier! Def going to be trying this. Thanks Ash! This is totally foolproof. Let me know how you like it , E! Ash, try tape. it also works well. I use that sometimes when I run on our french mani guides. Those are super cheap, only 3 dollars at the drug store. 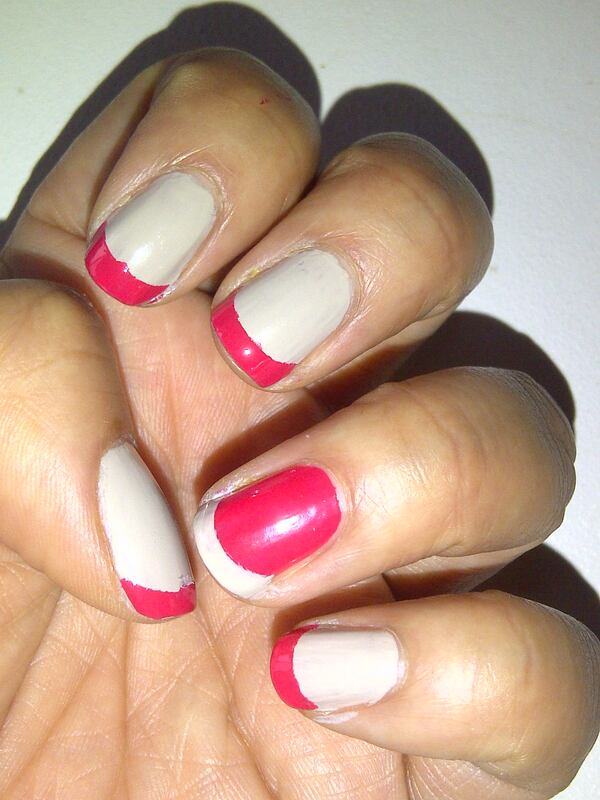 I really like the curved line that it is hard to achieve with tape for a french mani. But, tape is so great for nail art designs. Thanks so much for reading and for your great suggestions! I’m horrible at doing my nails but with a tip this great, maybe even I could make my nails look this good! I am not creative or neat when it comes to doing my nails either, but I rely on little shortcuts like this. Let us know if you try it out, Kath! I never do french manicures because my nails are so short, but I love how it looks. 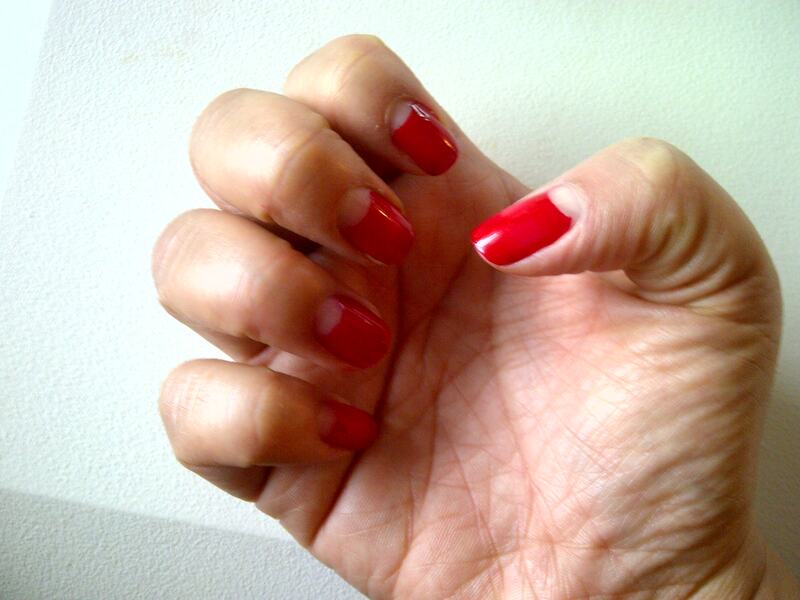 I especially love your cherry red reverse french mani – so clever and pretty! I think I might try your round bandage technique for a two-toned nail, I loved the teal and fuschia ones you demonstrated. Thank you for the great ideas! Glad you enjoyed Seph, let me know how your two toned mani turns out! COOL! 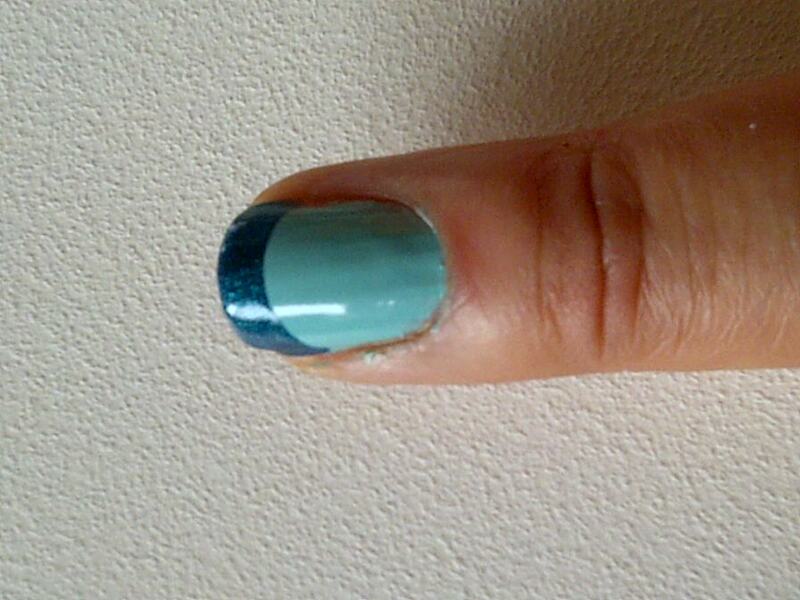 Never knew about this bandaid trick–will try it next time I want a french mani! What kind of cherry red nailpolish is that in the reverse mani? It’s such a nice color! Thanks Suze! That is OPI Big Apple Red!